Tasked with stimulating the European economy, the new investment fund may just become an extention of the European Investment Bank’s normal lending with very limited additional (green) finance. 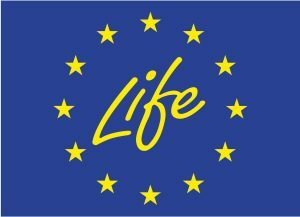 Facing protracted economic downturn in Europe, the European Commission in 2015 launched with great fanfare an Investment Plan for Europe with its financial arm, the European Fund for Strategic Investments (EFSI). Under the auspices of the European Investment Bank, the EFSI aims to stimulate the European economy and mobilise private investments by providing funding for projects with a higher risk profile than ordinary EIB activities. Yet although the fund has been tasked specifically with financing, among others, energy efficiency and renewable energy projects and with promoting cohesion, it may not live up to this promise. There is a risk that, being managed by the EIB, the EFSI either follows standard EIB lending practices or that ‘greener’ EIB loans are shifted to the EFSI category – with very limited additional green finance overall. An in-depth examination by Bankwatch of the EFSI’s operations after one year suggested that cash that should be flowing into projects that boost environmental sustainability is instead fuelling outdated carbon-intensive projects like motorways, airports, and fossil-fuel infrastructure. An opinion by the European Court of Auditors confirms that evidence for the EFSI’s added value is scarce at best, as Reuters reported in November 2016. Also beneficiaries and national promotional banks were in doubt about the added value of the fund, as an independent report by the consultancy Ernst & Young showed in November. 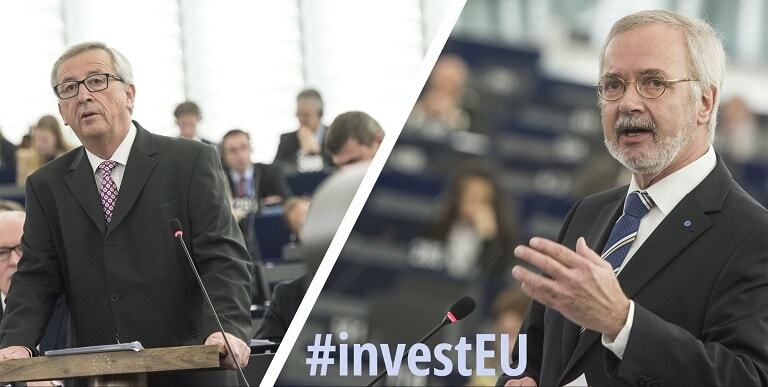 The report also warned that the EFSI may even crowd out existing investments. The “third industrial revolution” project in Nord-Pas-de-Calais, France incorporates numerous smaller projects all working for a zero carbon energy system for the entire region. The particular financing mix could potentially serve as a good example for an investment platform under EFSI. The EUR 1.76 billion public-private partnership project of a 27km motorway around Bratislava is filled with controversy. It will come with high costs, damage biodiversity and likely not solve local transport problems. 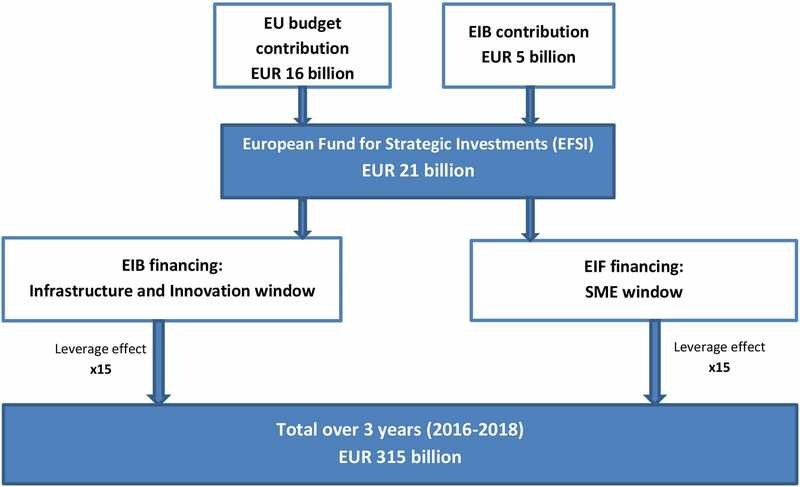 Based on a guarantee of EUR 16 billion from the EU budget and complemented by a EUR 5 billion allocation of the EIB’s own capital, the EFSI’s investment target is EUR 315 billion until 2018. The European Union is set to continue a funding tool that in last two years has lent billions of euros for fossil fuels projects. 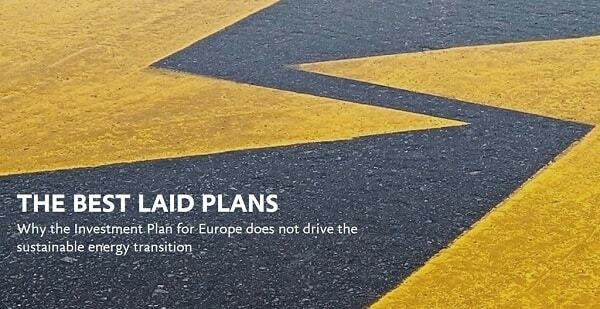 An analysis of the sustainability and transparency of the European Fund for Strategic Investments.